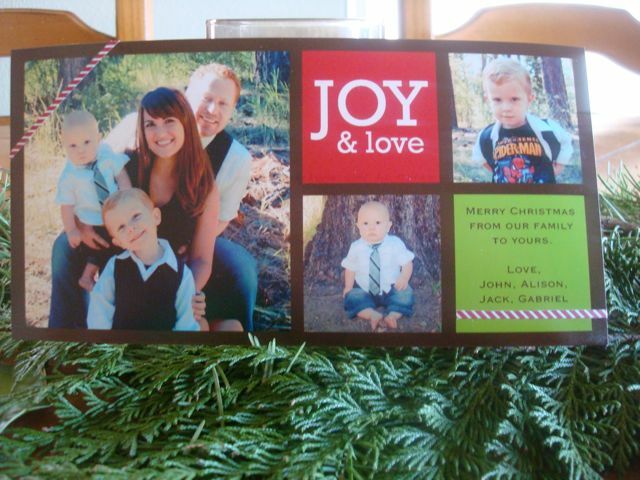 I posted a few weeks ago about my Christmas card dilemma, ouch. I thought I should also share that I found a solution, one better than any of my initial thoughts on the matter. I was shopping in Target when I stumbled across these peppermint stick bordered address labels. I thought I might be able to cut them down to the right size to just cover the “& Baby Oertle” and leave the rest of the card in tact. Although it wasn’t the card I had intended or hoped to send, I think it made the best of a difficult situation. 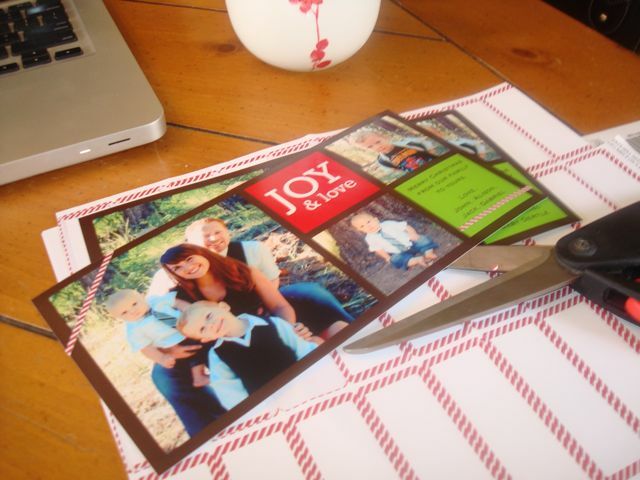 Anticipating that it might be hard on my heart, I made myself a steaming mug of hot chocolate, lit a holiday scented candle on the table, played Michael Buble’s new Christmas album on Spotify, and sat down with the stack of Shutterfly cards, labels and some scissors. Not a bad way to spend an afternoon and sure enough, it worked like a charm. Here is my finished product. I added a sticker to the upper lefthand corner too to make it seem more intentional and less like a cover up. In my opinion, it’s not a bad design element. 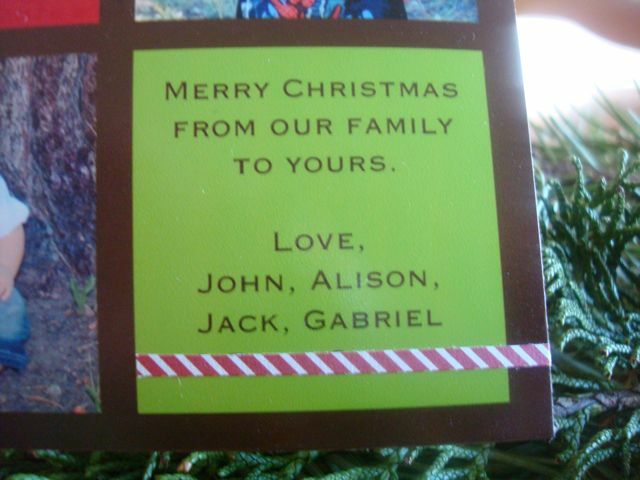 Other than the fact that our last name is missing, I don’t think anyone would even know the difference. Oh Ali, what a great idea!! I had no idea that there had been purposeful altering when I received the card! I just thought you did a lovely, crafty job. You’re a gem, Ali!